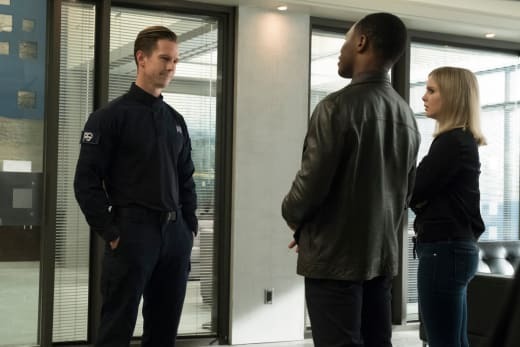 It's a somber occasion on iZombie Season 4 Episode 13. The hour may be the most gruesome yet if this grave promo is any indication. Chase Grave has gone off the deep end in most respects, but as per the law, he is taking it upon himself to execute a couple of human smugglers. Those smugglers happen to be Liv and Levon. Levon's last ditch desperate attempt to save Liv backfired, and it has landed him right beside his paramour on the chopping block. 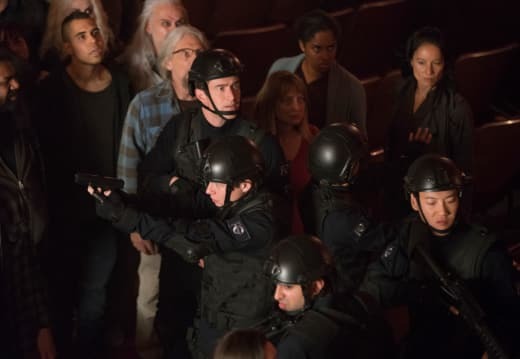 Chase has ruffled a few feathers, and other Fillmore Graves soldiers like Hobbs are playing both sides possibly in an attempt to overthrow him. It's implied that Major may be the best man to take over the zombie army, but will he? As we've learned time and time again, Major will do just about anything to protect Liv. Although they have been on opposite sides of the spectrum on all things zombie this season, nothing will interfere with the love they have for one another. He'll stop at nothing to rescue his former fiancee, and that includes going after and potentially taking down his mentor, boss, and friend. Of course, Major has had doubts about Chase ever since Chase killed Major's teen cadet. Angus has stirred up a lot of feelings among the other zombies. Unfortunately, he has played right into the hands of Blaine who is using Brother Love and his flock to start a full-on zombie/human war. 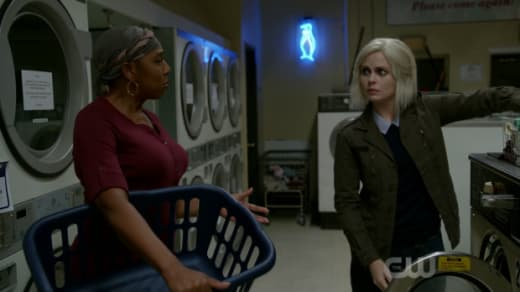 Related: iZombie: Chase, Fillmore Graves, and Missed Opportunities! The city has been on borrowed time waiting to explode. The threat of being nuked is imminent, and a full-blown attack is on the horizon. It's going to be a sad, terrifying, intense finale. So, what's the biggest tear-jerker in the promo? It's Liv's presumably final words to Clive. I dare you not to get choked up over them. Will Liv be executed? Doubtful, but Levon, well, may the odds be in his favor. 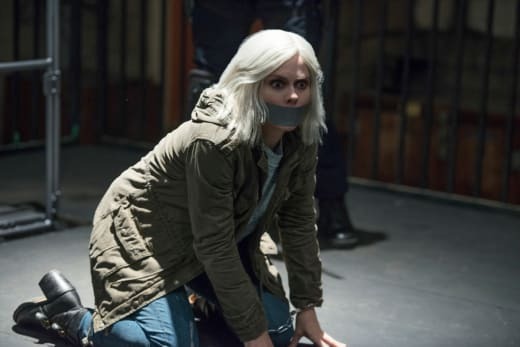 If you need to catch up on the season, you can watch iZombie online here via TV Fanatic. Otherwise, check out the promo for the finale below! 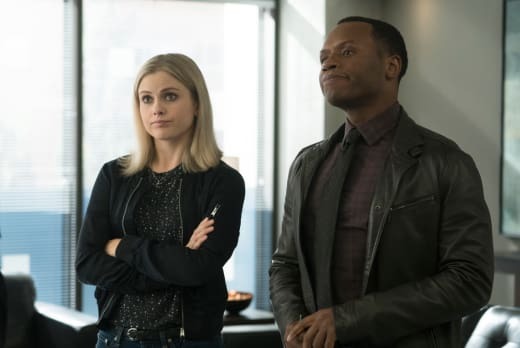 iZombie Season 4 Episode 13: "And He Shall Be a Good Man"
Fillmore Graves has Liv. They plan to execute her. Permalink: Fillmore Graves has Liv. They plan to execute her. You better not be on a plane back here. You stay there until it's safe. There's going to be a day of reckoning once we run out of brains.